All flights at sunrise Monday-Sunday. Call for reservations 505-979-2012. Based on Availability. 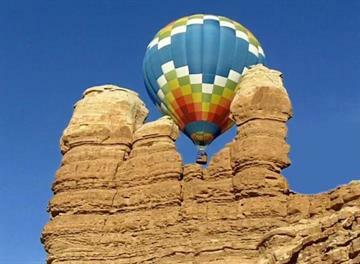 Rise with the sun and ride the gentle breezes in the canyons of Red Rock Park. 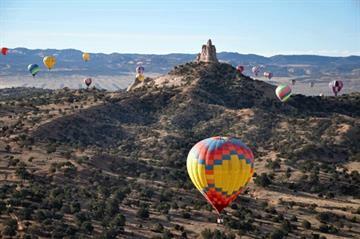 X-Treme-Lee Fun Balloon Adventures offers scenic hot air balloon rides over Indian Country, unique promotional and advertising opportunities, and a one of kind experience for birthdays, anniversaries, or any special occasion. Safety always comes first, our pilot is F.A.A. certified as a ballon pilot and instructor. Over 15 years of experience and a perfect safety record. Talk with us about special group rates or ways to make your event more memorable. Call 505-979-2012. 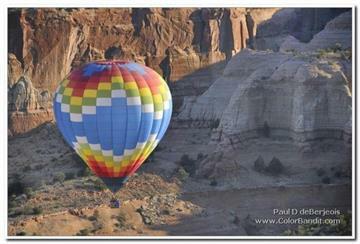 LIKE us on Facebook X-Treme-Lee-Fun-Balloon-Adventures, or visit www.scenicballoonrides.com. Book your flight now...dont forget your camera.